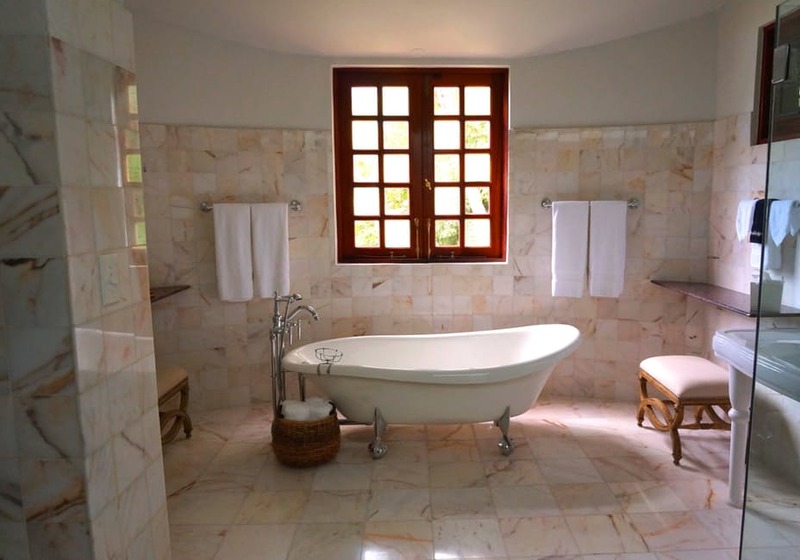 As far as perfect areas of the home go, most of us would agree that we’d love to have an beautiful bathroom. Yes it’s nice to have a modern kitchen, and who doesn’t want their own walk in wardrobe? But, when it comes to having just one room of your dreams, you can enjoy a bathroom way more than any other room. After all, it is a room that you spend a lot of time in. You shower in there, pamper in there and relax in there, so it would make the world of difference if you could finally achieve your bathroom goals. The nature of the bathroom means it's not typically a 'cosy' room, and it can be difficult keeping it warm when it's covered in tiles! However underfloor heating solves this issue, and along with a nice heated towel rack to warm the room and your towels, every bath or shower you take will feel like you're at the spa. If you’re used to an over the shower bath, it can feel like a complete treat to install a freestanding shower. But, if you’ve got enough room to do that, you’d benefit from going luxe. Having space to install a shower on its own is quite the luxury, but did you know that you can get shower cubicles that also double up as a steam room? Now that should give you something to think about. When you’re designing a bathroom from scratch, it can be an idea to focus on his and hers as you go. If you’ve got enough room, a double sink can not only look luxurious but be a handy instalment too - no more fighting each other to get to the sink! But there’s no need to stop there. You should get his and hers storage too. That way, you have your space, and he has his. You can stock up on all of his favourite toiletries too because we all know the showering habits of men vary, some of them might need a little push! If the shower come steam room sounded great, then you might also want to think about upgrading when it comes to your bathtub. Although a standard size bath can look good when it’s dressed well, you can’t quite beat something bigger, rounded and loaded with jets. For the ultimate spa experience, you should work on turning your relaxing bath into more of a hot tub! And then there’s the atmosphere to think about. Although your design and colour preferences will vary, it can be a good idea to focus on creating a spa-like vibe in the simplest of ways - using scent. Whether you prefer to use incense or candles, you can luxe up your bathroom by using a calming aroma.